Filming on 'Star Wars: Episode VII' is due to resume later this month. 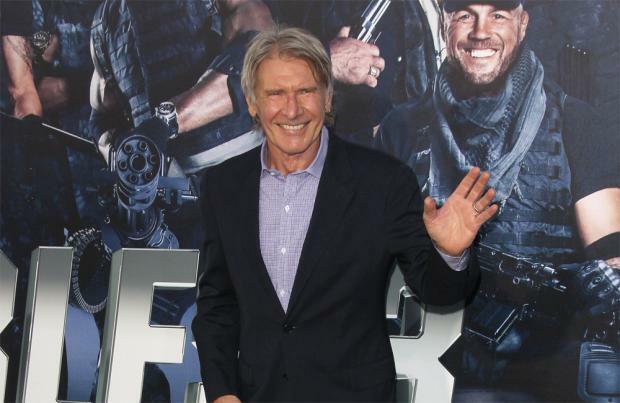 Production on the sc-fi sequel was halted shortly after Harrison Ford - who is reprising his role as original trilogy character Han Solo in the movie - broke his leg when a hydraulic door on the set of spaceship the Millennium Falcon fell on him at Pinewood Studios in Buckinghamshire, South East England, in June. The Hollywood Reporter has been informed that filming will start again in a matter of weeks but it has not yet been confirmed if Harrison, 71, will be back on set. However, the actor's rehabilitation period for the injury has gone well and he was seen back on his feet without the need of any walking aid at the Hollywood premiere of his new action movie 'The Expendables 3' at the TCL Chinese Theatre on Monday (11.08.14). Director J.J. Abrams is eager to get filming at Pinewood back up and running to avoid any delay to the planned release date of December 18, 2015. The cast - which includes Mark Hamill, Carrie Fisher, Oscar Isaac, Lupita Nyong'o and Christina Chong - are set to be recalled in the next week or so.